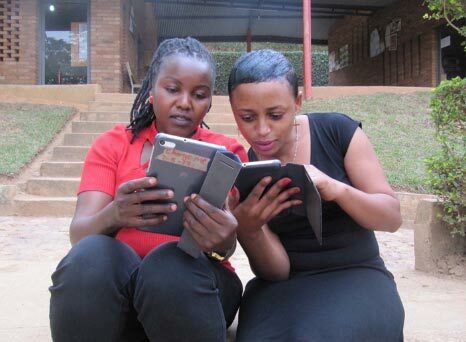 Written by Rachel Duncan, Lead Practitioner with A Partner in Education (APIE), who, in partnership with the school’s administration team, is responsible for the continued professional development of teaching staff at Umubano Primary School, a centre of excellence in Kigali, Rwanda. 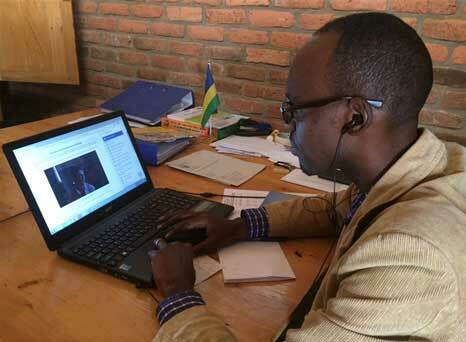 Umubano Primary School (UPS) is a pre-primary and primary school in Kigali, the capital city of Rwanda. It is supported by A Partner in Education (APIE). The school was opened in 2013 and through a combination of strong local leadership and international expertise, the school has become recognised as a centre of excellence in Kigali, ranked third in a 2017 Schools Peer Review (out of 215) and best in its district; rated 95% in a recent government inspection; and has recently become Rwanda's first primary Beacon School for Peace. APIE has worked in partnership with OLT for the last two years, with APIE delivering the Effective Teaching and Learning (ETL) course to the UPS staff in 2016. The ETL course was received with great enthusiasm from the UPS staff and therefore another course was planned for the 2017 academic year. 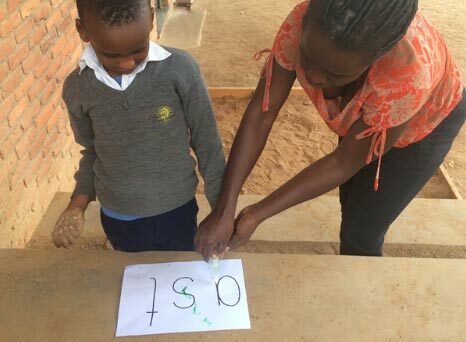 Awareness of Autistic Spectrum Disorder (ASD) in Rwanda is low with only approximately 1% of the population currently diagnosed and available teacher training on SEN is limited. At the start of 2017, one UPS nursery student had a diagnosis of an ASD with another displaying behaviours on the spectrum. With the potential for these students to remain at the school for another 6 years after nursery it was felt by APIE and the school administration team that the UPS teachers and teaching assistants should receive training on the spectrum, alongside strategies to help support learners. The OLT Autistic Spectrum Disorder course was a good fit for the school’s needs. As the APIE Lead Practitioner I am responsible for the continued professional development of the teaching staff at UPS, in partnership with the school’s administration team. I undertook the ASD course at the start of the year, supported throughout by OLT staff in the UK. This allowed me to become a tutor for the course and enabled me to support the UPS staff through it. The course was introduced to the UPS staff during a two day INSET training at the school in August, followed up by monthly twilight sessions. Informal support was given to staff regularly on a one-to-one basis. After the initial INSET training, teachers were asked to dedicate one hour a week to the course, with many doing considerably more than the required time. The response to the course from the UPS teachers was overwhelmingly positive. All staff felt they had a better understanding of what ASD was and felt more confident in supporting learners in their classes. “The iceberg metaphor helped me to think about the causes behind the behaviour of an ASD student who is in my class. Emilie explained that during the course she learned that people with an ASD can be sensitive to noise and she identified this in Ganza, a student in her nursery class with an ASD diagnosis. When the classroom was noisy he would run around, holding his ears, shouting and upsetting other students. After the course, Emilie understood that this was the cause and would take him outside to a quieter space to work with him. Agrippine, Ganza’s mother and the Deputy Head Teacher at UPS, felt like she gained new strategies to help him at home as well as in school. By working through the course Agrippine learned that, for many children with an ASD, routines are very important and she identified this in Ganza. She has worked with him to establish a routine at home. He now knows what to do when it is time for breakfast, to bathe or go to school and he likes to help wash the dishes every day. She gives him simple instructions that she repeats 2 or 3 times to make sure that he has understood. Agrippine has seen Ganza reaching new milestones both at home and at school and it has given her a more positive outlook for the future. “The course has shown me that Ganza is not the only one with these characteristics. On one of the course videos I saw a young man of 20 doing things that others can do and it comforted me. Now I have hope that he can do something in the future. The quality of support from OLT was fantastic during the course. They were very responsive to email requests and questions and supported me well throughout, making my role as the course tutor manageable alongside my other responsibilities. I offered ongoing support both formally at trainings and informally to staff as they fitted the course in around their busy working day. The ICT competence of the staff at UPS is mixed and therefore some needed more support than others to access the course in the beginning, however once everyone was ‘up and running’ even the less confident members of staff were able to fully engage with the course materials. At UPS there is internet available for staff to use as part of their teaching and learning preparation, with relatively good connectivity, therefore the majority of the time that staff needed to work on the course they were able to do so – with one notable exception during a twilight training when no one could connect to the internet! The majority of the staff actively engaged with all aspects of the course, writing interesting discussion forum posts and setting SMART targets for students in their classes. The opportunity to learn over a number of weeks and not at a one-off training session was incredibly powerful. Through access to quality course materials, the staff had the chance to enbed their knowledge, think about and change their classroom practice and discuss with others, leading to a deeper understanding and engagement with the course materials. “I wish I had been able to do this course at the start of my career as I would have been able to identify and support many more children with the strategies and skills I have learned. I will now try to use prompts and a visual timetable in my class. “The ASD course has widened my skills in identifying and working with students on the spectrum. I learned lots of new things, for example that boys are more likely to be diagnosed with an ASD than girls. 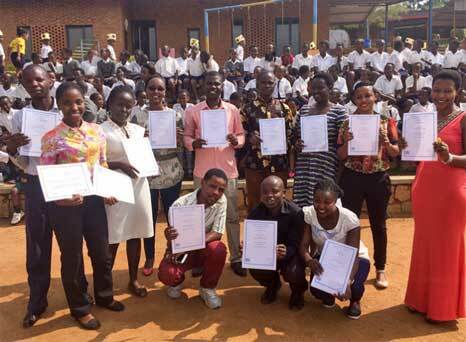 The value of a certificate is very high in Rwanda and the staff were delighted to be presented with their OLT certificates at the UPS Closing Day in November. It was wonderful to be able to publicly celebrate their achievements with the whole school community – students, staff, parents and invited guests. During end of year teacher evaluations, another OLT course in 2018 was requested by staff, showing the impact that the course has had at UPS this year. The partnership between APIE and OLT is something that we hope will continue in the future as we have identified other areas of need within the school, for example the Speech, Language and Communication Needs course, the Dyslexia course and the Understanding and Supporting Behaviour course. “To be able to include every student effectively in teaching and learning, teachers need to first learn how to do it. We were very privileged to be able to do the OLT course as we have learned necessary knowledge and skills to help support students with an ASD. If other schools are thinking about accessing one of the OLT courses, either in Africa or elsewhere, I would highly encourage them to do so if they have the means. It has been a hugely positive experience for the staff at UPS with enhanced levels of skill, knowledge and confidence apparent in the teaching staff and improved learning experiences for students. The following graphs show differences between responses given in pre and post-course evaluations.